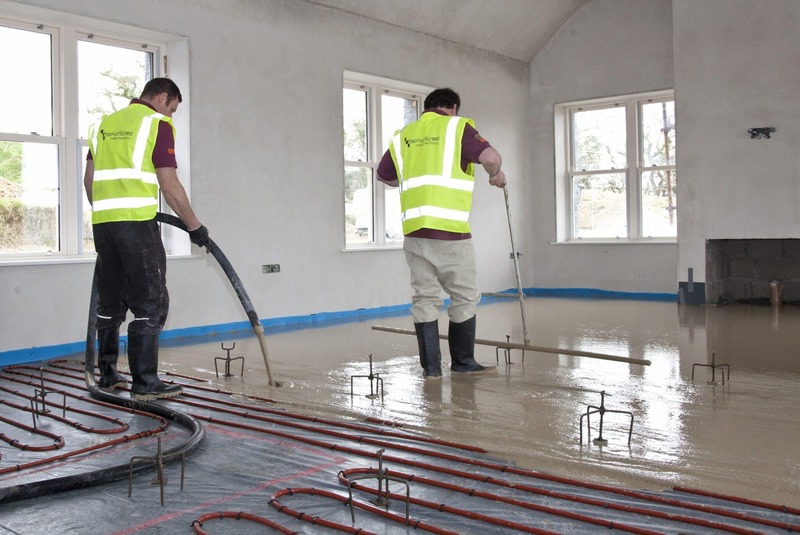 Our Alpha Hemihydrate Screed can be installed in a heated floating-floor screed construction, uniquely, with the commissioned underfloor heating system up and running @ 25°C?! 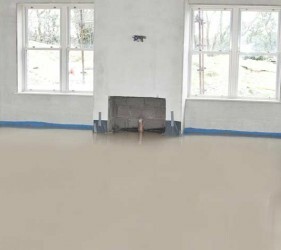 Even further reducing drying times with the floor screed dry in 8 days! 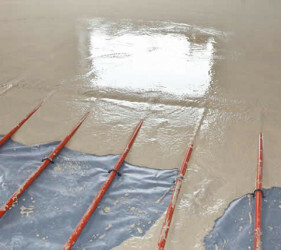 • accurately mixed and poured by our Fast Floor Screed Ltd CE certified state-of-the-art Mobile Screed Factories. 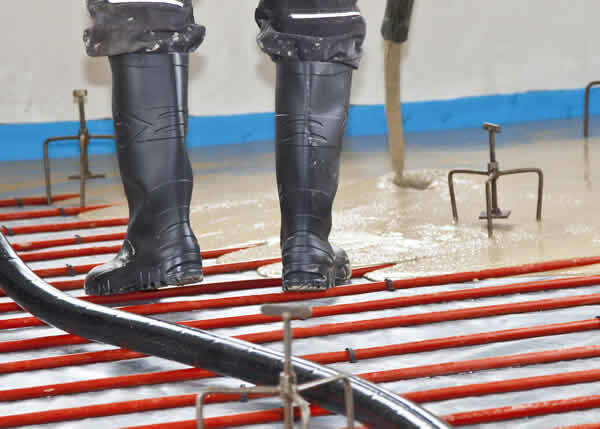 Südanit 280 Alpha Hemihydrate Screed’s advanced composition means that it reacts quickly with water, providing consistent, reliable drying characteristics and considerably faster drying times, enabling following trades to proceed without delay. 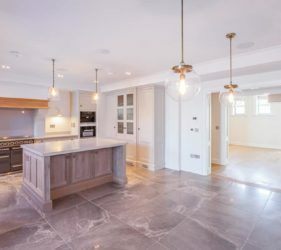 This has the advantage of ensuring your project completes in a timely manner, offering your architect or designer flexibility. 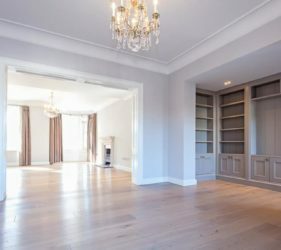 For your builder/contractor and floor covering specialist, it offers ease of installation on site. 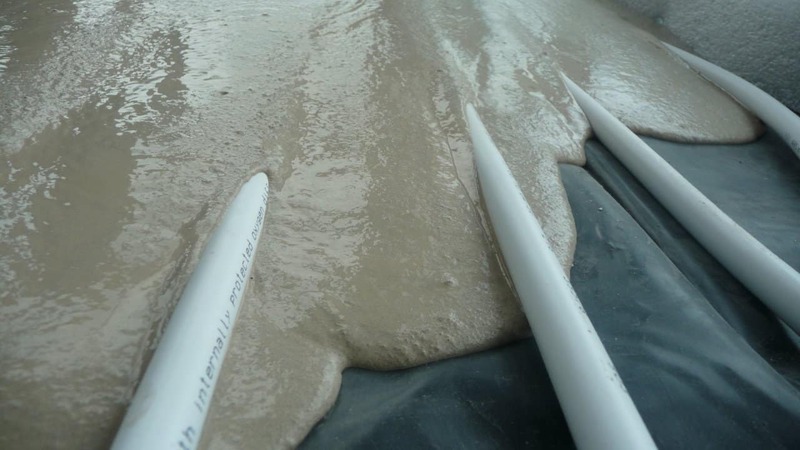 Our Alpha Hemihydrate Screed’s easy workability means that it mixes and flows smoothly, with none of the inconsistencies that are inherent in synthetic Anhydrite Screeds. 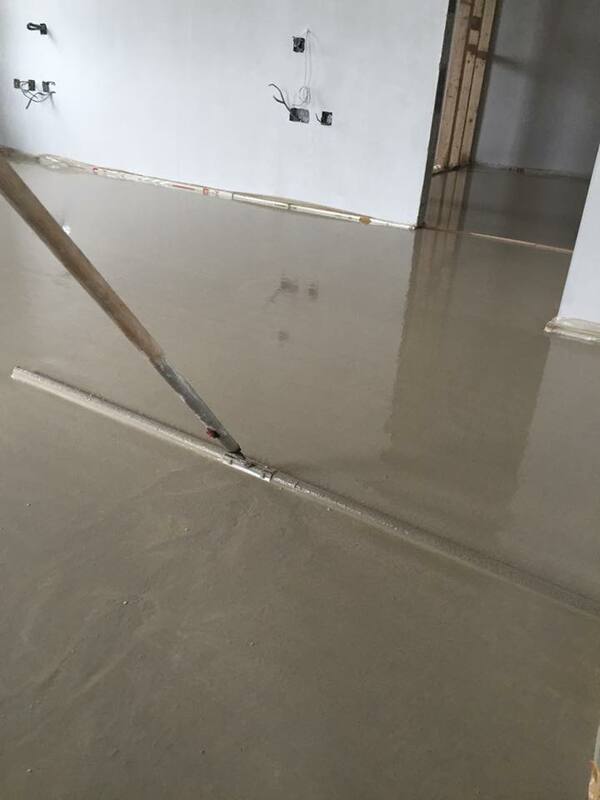 Südanit 280 Alpha Hemihydrate Screed is stable and does not segregate, so there is no surface skin formation as there is with Anhydrite. 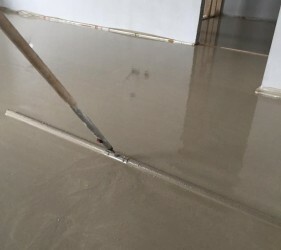 Consistent drying and smooth laying mean no finishing before final floor coverings are laid and there’s no need for additional smoothing compounds. 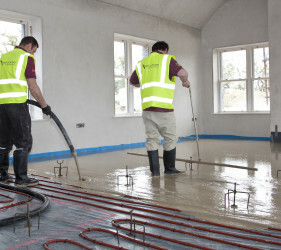 Alpha Hemihydrate Screed can be installed in a heated floating-floor screed construction, uniquely, with the commissioned underfloor heating system up and running @ 25°C! 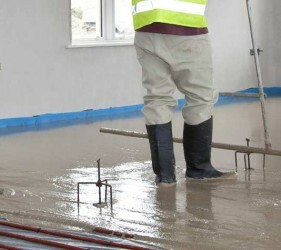 Fast Floor Screed’s Alpha Hemihydrate screed is particularly suitable for applications over Under Floor Heating (UFH) and cavity floors. 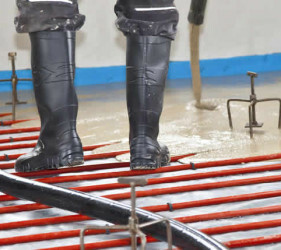 Südanit 280 Alpha Hemihydrate Screed is a liquid self-compacting, self-flowing, self-levelling Screed which flows to fully encapsulate underfloor pipes or wires and reduces the potential for air bubbles/pockets which can have an adverse effect on heat transfer. 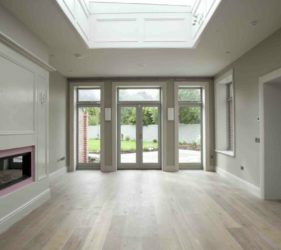 Suitable insulation is placed onto the structural floor along with edge insulation, against the perimeter of the walls and columns. 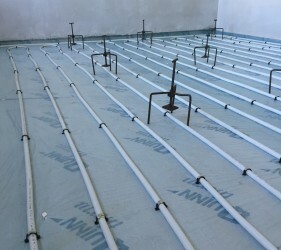 RESULT – This avoids cold bridging and allows the floating floor to expand. 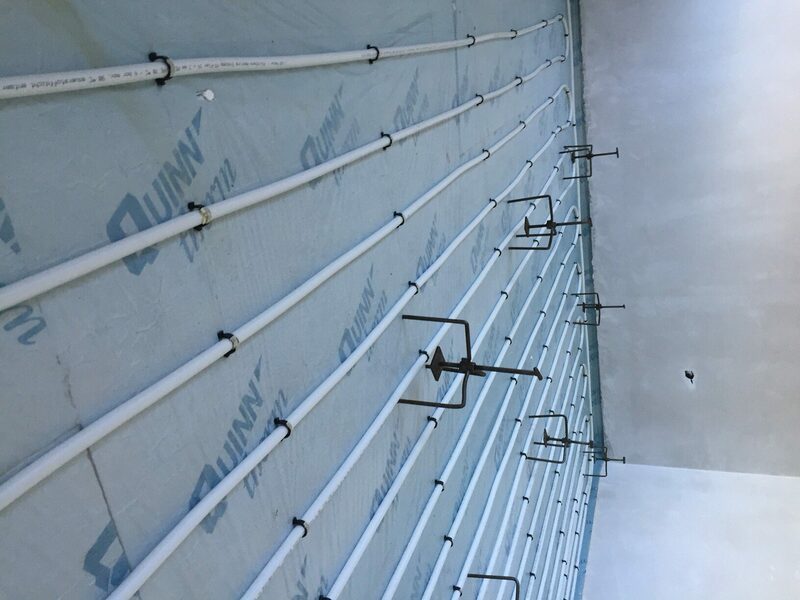 Before placing the underfloor heating pipes, a plastic membrane is installed directly onto the insulation boards and returned up the walls. 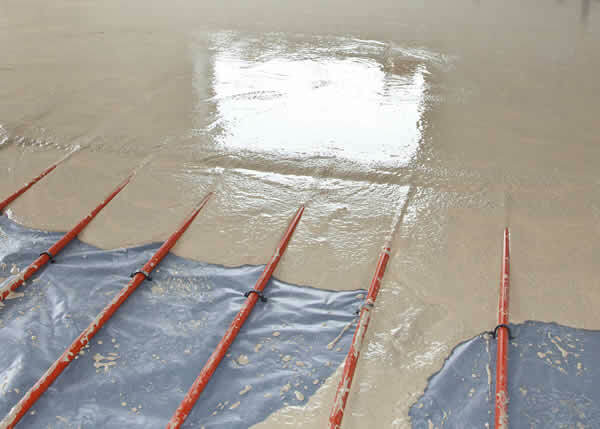 RESULT – This ensures no leakage of the screed and allows the screed to dry consistently throughout. 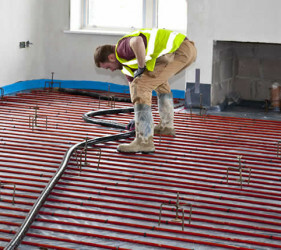 Under floor heating pipes are placed and fixed to the insulation boards using clips and/or rails. 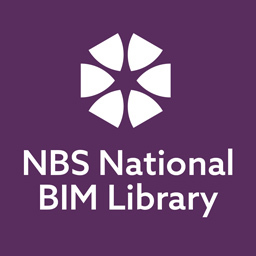 Fixings need to be no more than 500mm apart and extra fixings are required for bends/returns. 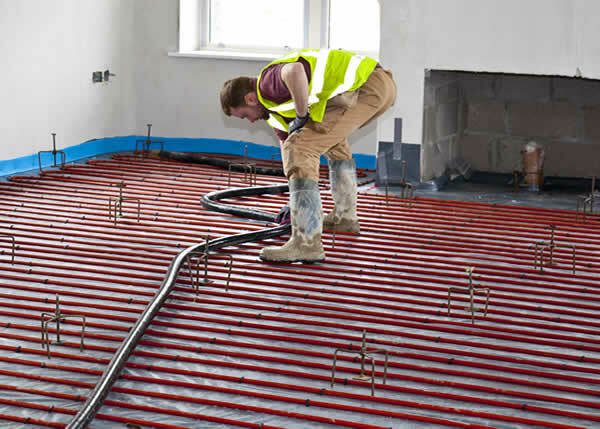 RESULT – Ensures pipes do not float during screed application. 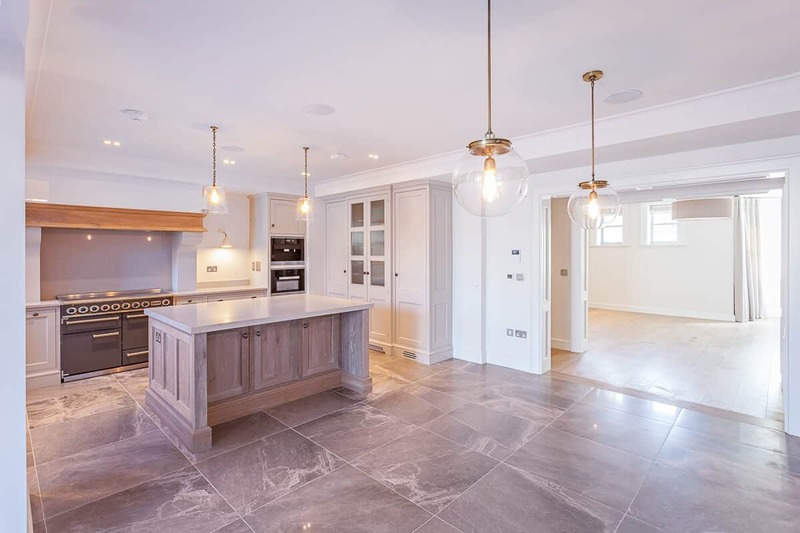 Before screed placement commences, we set adjustable tripod depth gauges set by laser level to the agreed datum, which is usually calculated from your door threshold. There is no requirement for datum lines on walls. 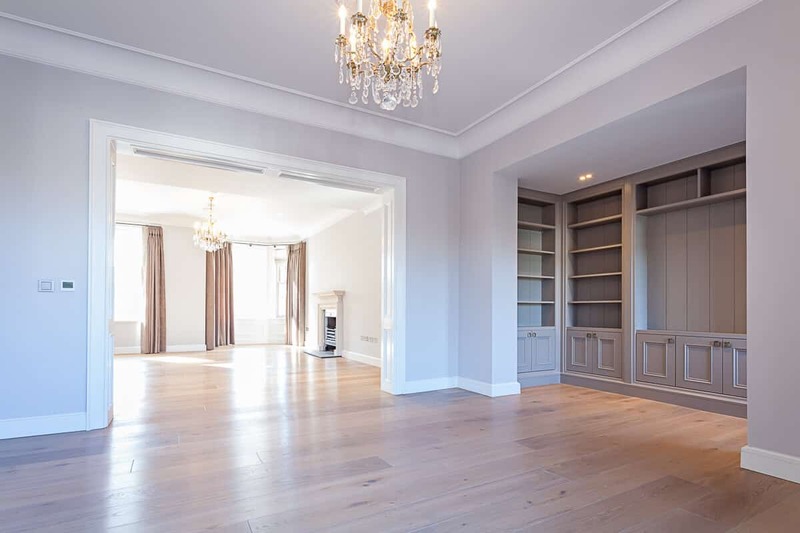 RESULT – A perfectly flat floor evenly throughout the building. Smooth and level. 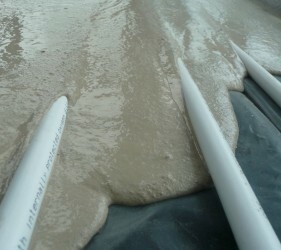 Foot traffic can commence after 6-8 hours under normal drying conditions. 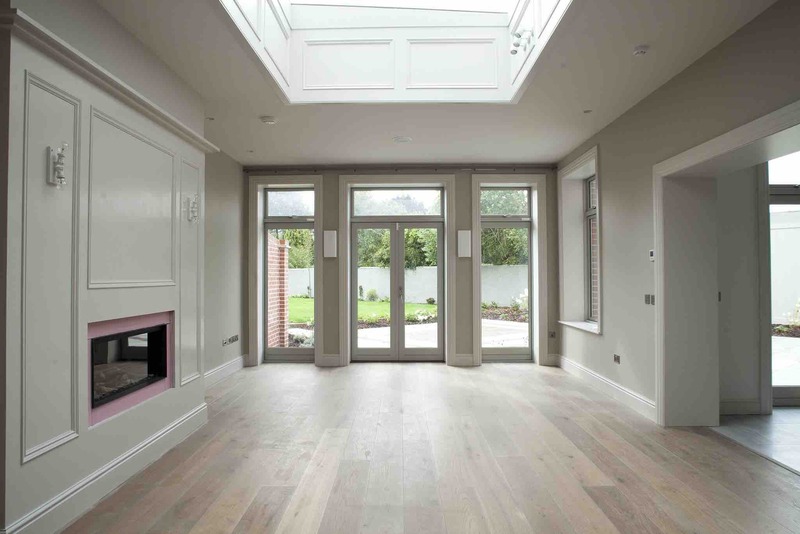 RESULT – Provides a perfectly flat floor – ready for your floor covering when fully dry.